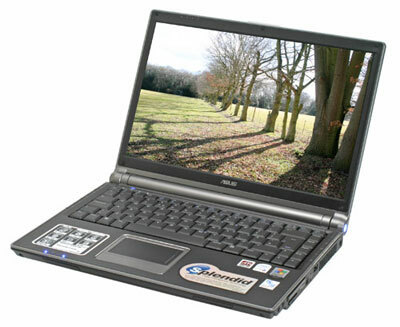 Asus W3J laptop is a Intel Core Duo powered ultra portable notebook computer which features 14″ WXGA (1280×768) “Color & Crystal Shine” Widescreen LCD with PCI-e ATi RADEON X1600 with up to 512MB HyperMemory. Asus W3J also has built-in Bluetooth V2.0+EDR, swappable optical drive bay and combo Dual Layer Super Multi optical drive. The laptop weighs 5.5 pounds and just 1.2″ in thickness.